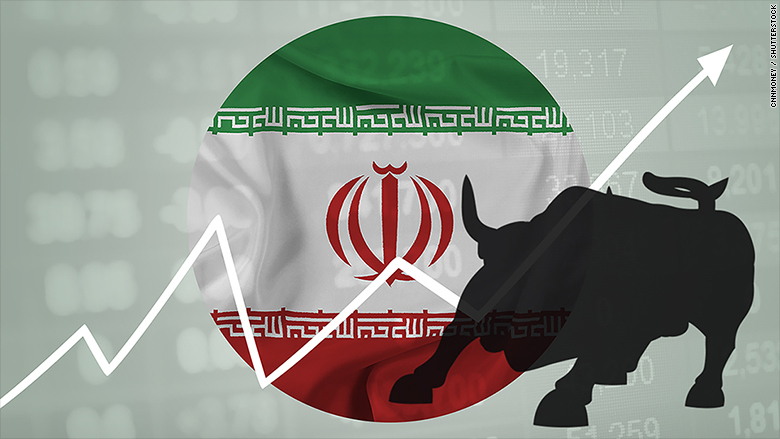 The Tehran Stock Exchange (TSE) released a statement that highlighted an 88% increase in the market capitlisation of Iran’s main bourse over the last four years. The market cap grew from IRR 171 trillion ($52 billion) in 2012 to IRR 322 trillion ($99 billion) after four years in 2016, making it the 5th largest stock market in the Middle East behind the likes of Saudi Arabia ($600 billion), United Arab Emirates (($250 billion) and Qatar ($200 billion). The bourse currently has 325 listed companies with 21% of its market cap derived from Chemical Products Group. Telecommunications, Base Metals and Banks & Credit Institutions are the next largest sectors and all make up a combined total of just under 30% of the market cap in the TSE. In terms of performance, the TSE has has increased by almost 230% in the last five years and hasn’t closed below 60,000 since September 2013 despite the numerous sanctions by the United States that have been placed (and some later lifted) over the same period of time. The average Price-Earnings Ratio has increased slightly between the two time periods from 5.35 to 6.84 at the end of 2016. At the end of the Persian calendar year (20th March 2017) the bourse recorded a 3.7% fall while trade volumes experienced an increase of 13.7% compared to the previous year. It remains to be seen whether or not Iran can maintain such an extraordinary level of growth. The recent election helped stabilise the market slightly, but other geopolitical worries may worry investors such as Qatar’s isolation from other Gulf nations, terror-related woes and ongoing tensions after President Donald Trump’s “Anti-Tehran Alliance” with Saudi Arabia. There have also been calls to impose sanctions directly on the TSE in a bid to prevent Iran from escaping any further punishments and to tackle any illicit activities that may occur.